sales in Arenas and halls between Sundridge, Parry Sound, North Bay and Sudbury. The early sales mainly featured antiques and collectibles, imported weekly from Buffalo NY, and surround areas. 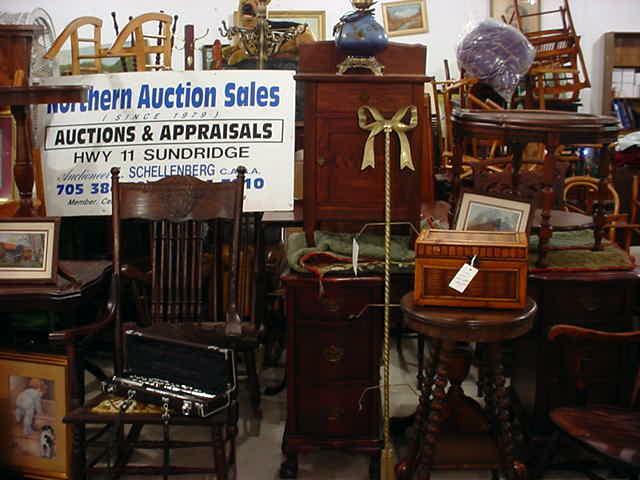 In 1980, we established our own Auction Hall at 2 Commerce Ct., Sundridge, where we have remained since conception. Auctions and Appraisals, including 3rd generation families since the earliest sales. estates, to large Commercial enterprises. In season we handle on site Auction sales throughout the North. Auctions on site include Estates, Commercial business liquidations, bankruptcy, Courthouse property sales, etc.